Not quite San Diego and not quite Orange County, Temecula is a hidden gem of a wine region, located an hour and a half outside of Los Angeles. You might have heard of Temecula for wine tasting or have come here once upon a time to a friend’s wedding. Either way, you’re sure to be impressed with this region and make sure to turn it into a yearly visit with our weekend getaway guide to Temecula! Ponte Vineyard Inn – Not only is this inn luxurious, it also happens to be eco-friendly! This highly rated, mission-style resort provides insane views of their vineyards on property. They also provide a variety of dining options and activities both on and off the site. Temecula Creek Inn – Known primarily for their golf course and gorgeous wedding grounds, the Temecula Creek Inn is a quiet retreat for guests to enjoy the Temecula region without sacrificing quality. Dine at one of the many restaurants at the hotel and take a tour of the surrounding area. The Inn at Europa Village – This chic bed and breakfast is perfect if you’re looking for privacy and luxury. This Old World building contains 10 spacious and beautiful rooms, while the hotel has many things for guests to do including wine tours and events on site. Nonno’s Ristorante – Apart from the fancy wineries and hotel fare, this is one of the tastiest, fine dining spots in town. Tasty Italian cuisine is always the right call for date night, but it’s the fine service and cozy atmosphere that leave this place so memorable. The Goat & Vine – If you’re looking for amazingly delicious comfort food, this is your place. Known as a great local spot in Old Town, this American-style restaurant is known for their awesome bread and have killer gluten-free options. Public House – This rustic, gastropub is a popular spot in Old Town for both locals and tourists alike. The restored, 1950s restaurant has a ton of delicious beer on tap and foodie options like juevos el diablo, peppered New York and avocado toast. Laurent’s Le Coffee Shop – Laurent’s is a Temecula staple, with some of the best coffee and pastries in Southern California. Enjoy a buttery omelette or delicious, flakey croissant to start your day and feel completely satisfied until lunchtime. Havana Kitchen – Come to Temecula for Cuban food? YES! The locals say it’s all about the empanadas and the cubanos, but as long as you try the cheese and guava pastries then you’re all set! Go Wine Tasting – In wine country, there are never enough vineyards to try. And lucky for you, you don’t have to pick! From hotel appointed tours to local wine clubs, there’s a vineyard to suit every taste and need. For stunning views, we like Wilson Creek but for the tasting we prefer Leoness Cellars! 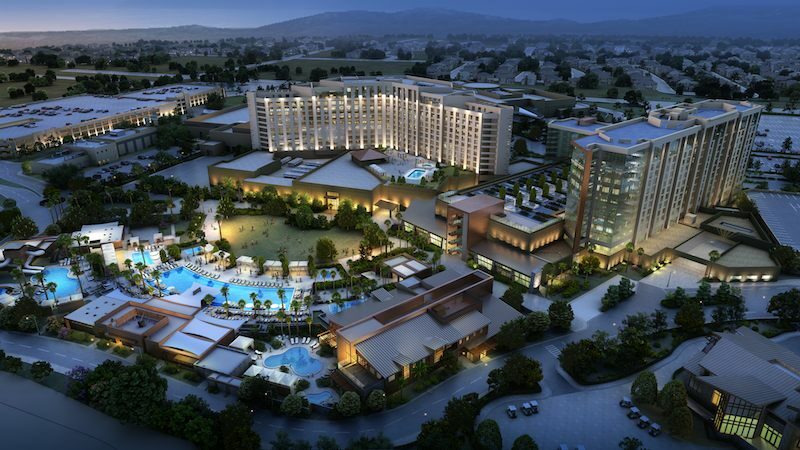 Enjoy the Pechanga Casino – Maybe you’re not staying at the resort as previously mentioned, but that doesn’t mean you can’t have a little fun while you’re in town. Check out the huge casino and if gambling ain’t your thing, make sure to enjoy the live shows! Go Berry Picking – It’s quite an old-fashioned tradition, but it’s always a good time to be out in the sunshine and feel the “fruits” of your labor (see what I did there?). There a few different farms to do this family friendly activity and it’s a really great way to unplug and connect with nature in a whole new way. Go Golfing – And there’s definitely something to do besides drinking wine and gambling all day (although we don’t see the problem there). There are quite a few different courses between the clubs and resorts in Temecula, like the Legends Golf Club, Redhawk, The Golf Club at Rancho California and many more! Check out the Temecula Museum – Much like many of California’s small and quaint museums, this local gem is the perfect spot to get a taste of Temecula outside of their grappa. However, we recommend this only to big Temecula fans or history buffs as like many California neighborhoods, we’ve been there, done that. Old Town Temecula – From shopping to dining, this place has it all! But if you’re not looking to spend money at an average trinket shop, it’s at least worth checking out the very epicenter of this cool city. Enjoy the View in a Hot Air Balloon – One of the greatest things Temecula has to offer is the view. From a private hot hair balloon for two at sunset to a group tour at various hours found on Groupon, there’s a hot air balloon experience for every person on any budget. Temecula is a place of simple pleasures and relaxation. So while the choice of activities might be limited, do not be fooled by the quantity over quality. Enjoy your retreat from the City of Angels and into the many vineyards of Temecula! One of the attractions in Old Town Temecula not to be missed out on is the surprisingly excellent Old Town Temecula Community Theater. http://www.temeculatheater.org/ It seats an audience 361 in a well engineered acoustical setting. While the appearing artists may not be big names, the talent is well reviewed and completely enjoyable with something on the calendar for virtually anyone ranging from ballet performances to an upcoming Van Halen Tribute performance in March. We recently enjoyed a Frank Sinatra era crooner’s tribute with a complete jazz orchestra that was as good as anything I’ve heard on any recordings of the most famed crooners.